Stipple and blend concealer with this flat brush for a natural, flawless finish.This beautifully bol..
Dust off excess powder and apply flawless highlights to your cheeks.This beautifully bold, 100% vega.. Apply highlights to small areas of the face such as the cupid's bow or tip of the nose with this tin..
﻿This unique divided brush allows for application of highlighter and contour at the same time. 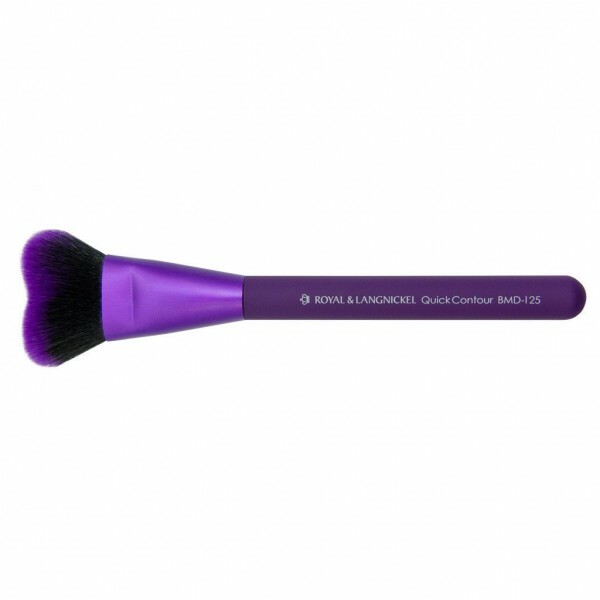 MODA™ Quick Contour (Patent Pending)﻿This unique divided brush allows for application of h.. Synthetic FilamentThe soft round tip adds dimension and a soft glow to your face.This beautifully bo.. Perfect for use with the glitters and to create a smoky eye. ..